Spring is the season of new life, and amongst the baby ducklings and little chicks that hatch during this season, you might find yourself or your family with a new addition of your own! If you know there’s about to be a new baby in your life (or even if there is one already!) 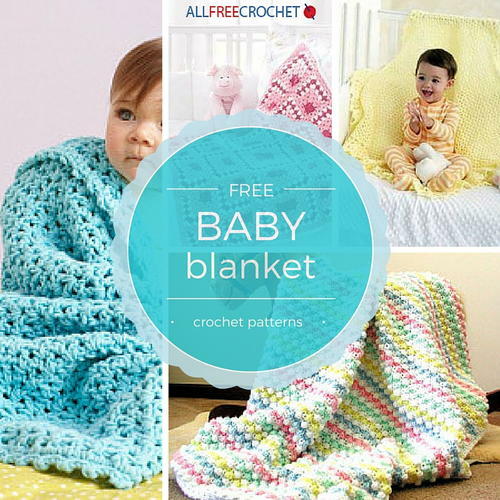 you NEED to check out our collection of 21 Free Baby Blanket Crochet Patterns . Nothing shows you care like a handmade gift, and a crochet afghan is the kind of thing that people keep to pass down to future generations! Get started on one of our lovely baby blanket patterns today, and you’ll be finished by the time the flowers start blooming again!